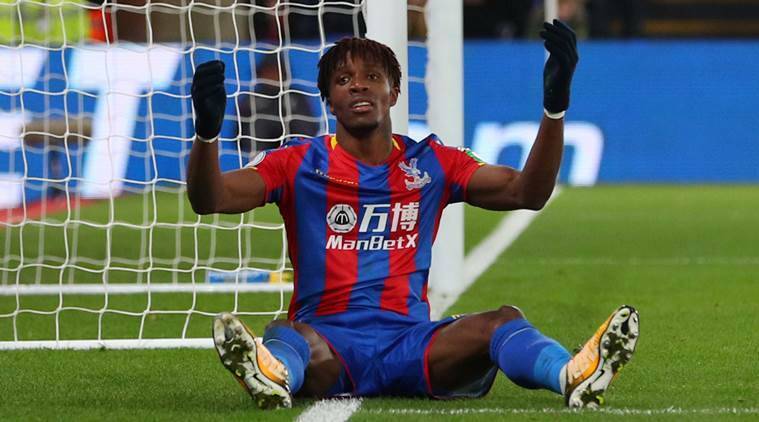 Crystal Palace forward Wilfried Zaha was given a one-match suspension and fined 10,000 pounds ($12,965) for his behaviour after being sent off against Southampton last week, the English Football Association (FA) said on Thursday. Zaha, who had given Palace the lead at St Mary’s, was dismissed for sarcastically applauding referee Andre Marriner in the 87th minute of the 1-1 Premier League draw, moments after being cautioned for tangling with James Ward-Prowse. The 26-year-old continued to applaud the referee after his dismissal and reluctantly left the pitch. Zaha accepted the charge at an Independent Regulatory Commission hearing on Wednesday. After serving a one-match ban during Saturday’s 2-0 win over Fulham for the red card, Zaha now faces a second game on the sidelines. “The suspension is not currently effective whilst the player considers his right of appeal,” the FA said in a statement.